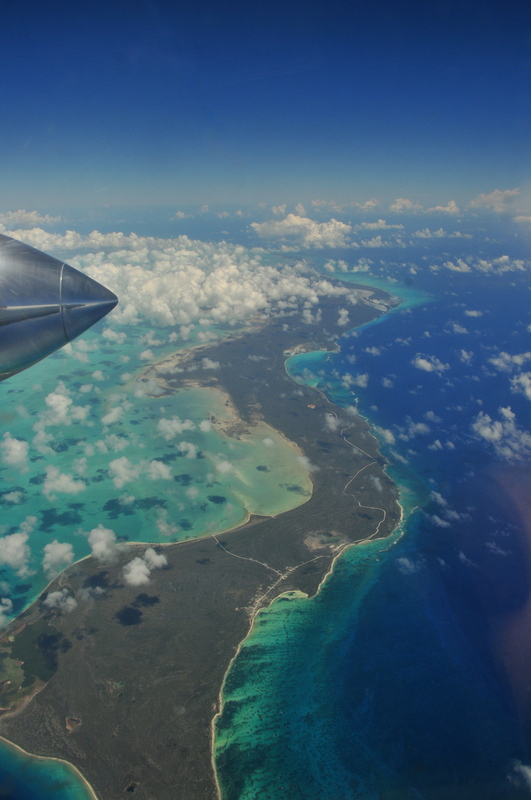 Aerostar Trip to the Dominican Republic – KFXE – MDST – EHFC Members Talking! 130 to 310!! That’s the true airspeeds of the slowest and fastest planes in our group of 12 flying out to the Dominican Republic today. 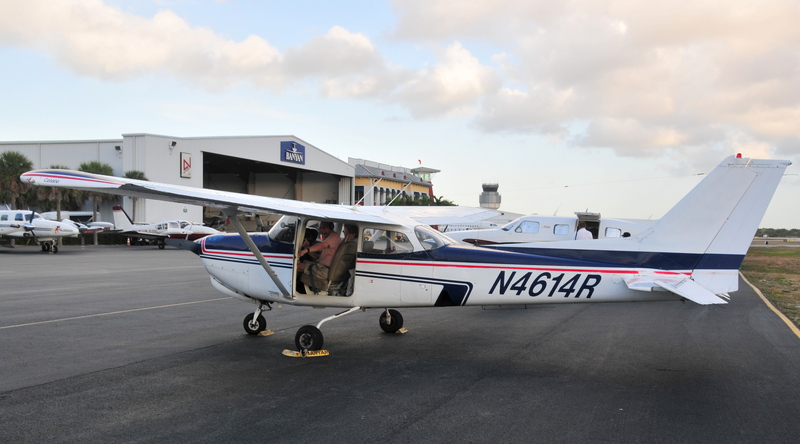 Our leader Jim Parker has been flying the islands for decades and has been to over 110 airports throughout the Caribbean. He flies an really interesting airplane, a Cessna 172RG. Yep – it’s basically a 180hp Skyhawk – called a Cutlass, a lot like the club’s Skyhawks except the gear retracts and with that added complexity comes about 20 knots. This one flies at 130knots. With a strong bladder and/or a fuel stop, the 670nm from Ft. Lauderdale is well within the reach of a Skyhawk. One of our group flew down from Montana in their 1963 Bonanza. Bonanzas of that vintage are 130knot machines. On the other end if the spectrum was a Cheyenne II twin turboprop and three single-engine turboprops, the fastest being an Epic homebuilt cruising at 310knots at FL270! Rounding out this eclectic fleet were a couple Piper Saratogas, an Aztec, a Navajo Chieftain, a B55 Beach Baron and us. After an early morning briefing — mostly learning each other’s names, where the fuel pit is at Santiago and how to deal with air traffic control in the islands, off we went. Well, not really. The turboprops and we kind of hung around since the goal was to meet in Santiago between 2 and 3pm. Some of our group left from different Florida airports, but everyone was in the air by 10:45 am or so. Our ride down was actually quite easy. We filed for 19,000 ft where we had the best winds – actually, not much wind at all. Down low, there was a 10-20 headwind, at FL 190 and above, the tailwind was in the 5-10knot range. The route took us over most of the Bahama Island chain. It was a beautiful day with puffy clouds over many of the islands. The world does look different from FL190 than down low. Over the edge of Long Island, there’s a large salt flat. And farther down in the Bahamas we crossed the Acklin Islands. We were actually never very far from land. In the distance to the southwest, Cuba dominated the horizon. That’s the east end of Cuba on the moving map. Flying in the Dominican Republic itself is a bit different. First, about 40 miles northwest of the ALBBE intersection, Miami Center announces – “Radar service terminated – contact Port-o-Prince Center on 124.50.” Yes, we were in Haiti’s airspace and Haiti doesn’t have civilian radar. So, it’s back to non-radar reporting points. Something all instrument students learn, but rarely get to use in most of the lower 48. And unlike when I learned instruments, you always know where you are and with a push of a button, you can estimate with great accuracy the time to the next mandatory reporting point. Pretty straight forward – except for the accents. All the communication is supposed to take place in English and most of it is. But with a mix of Haitian, American, Bahamian, and Latin American pilots all in the same airspace, communication became “interesting”. We were IFR trying to get down in a non-radar environment. Making myself understood took about 10 miles and the Haiti controller had to coordinate with the Santiago approach controller — that’s a different country. In all, it took about 50 miles to get us a decent clearance. 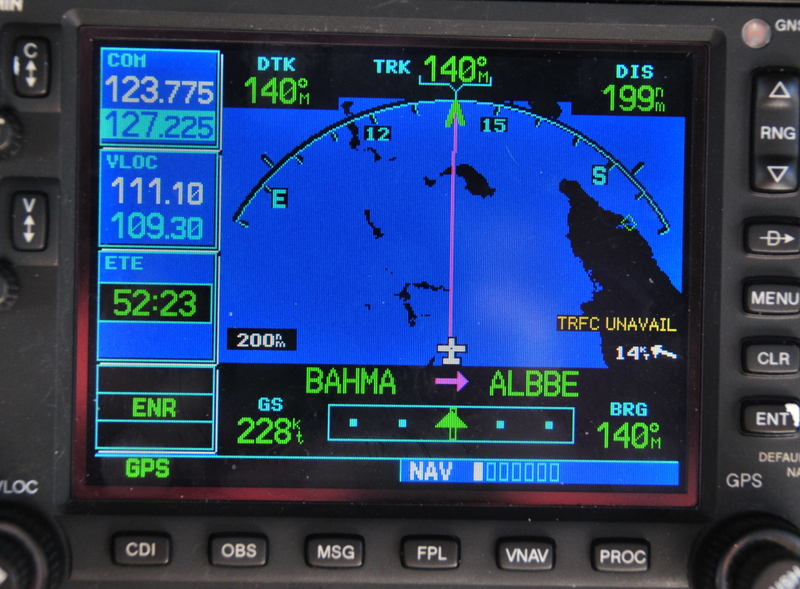 By this time, we were with Santiago Approach Control which I think is near the coast in Puerto Plata. They have radar, but it’s very spotty. So even though they can “see” you occasionally, you are never in “radar contact”, so everything is done in reference to DME from the Santiago VOR-DME. In the world of GPS, we don’t hear DME (distance measuring equipment) all that often anymore. It happens that the VOR-DME is located right at the field, so the GPS distance is fine. 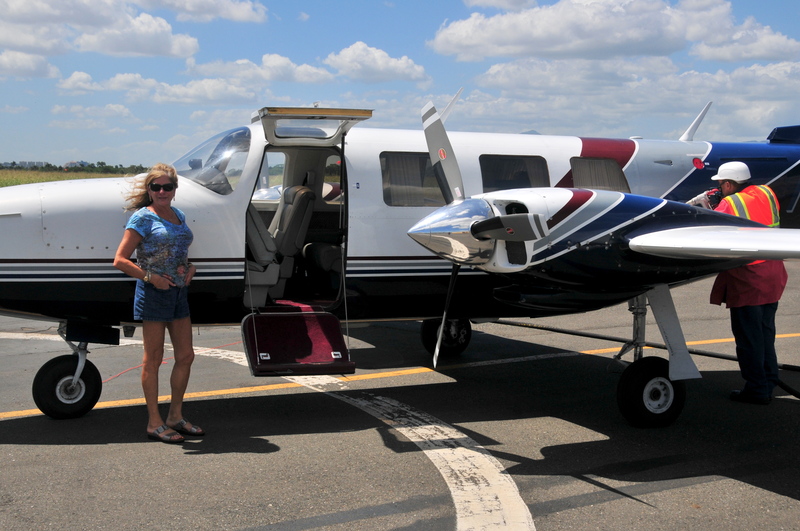 Our Aerostar happens to have a DME and it was really nice to have it. And there were a bunch of cumulus clouds over the 4,000 ft ridge that we had to fly through, so canceling IFR wasn’t a good idea; especially with four of our group all arriving at about the same time. In addition to the basic language differences, the syntax is difference. The controller would say: “N60LM, Fly to Station Romeo-India-Golf-Alpha-Romeo and say DME from Cibao.” The first time I heard him, it took a minute to figure out what he was saying. Cibao is the name of the airport – like Hartsfield is the name of Atlanta’s airport. Station can be a fix, like an intersection or it can mean a specific airplane; “Station 60LM” and “Romeo-India et al” is the RIGAR intersection. So, US controllers would say: “N60LM, fly direct RIGAR (and maybe pronounce it phonetically) and say distance from the Santiago VOR” (since that was in our actual clearance). After a couple of tries, we figured out the cadence and got a clearance to the final approach fix on the ILS. Santiago is in a broad valley, so once past the ridge, the clouds pretty much disappeared and we received a visual approach. Finally we were turned over to the tower controller, a female voice speaking flawless English with a slight Latin accent. With that, we were on the ground. Only Jet A was available via truck at all of $2.47/gallon. We had to taxi to a fueling pit and paid $6.83/gallon cash! Here’s Trudy stretching her legs while Juan fills the main. We had a wonderful reception right at the FBO with various officials making speeches about how great it was to have visitors to one of the busiest airports in Latin America. And here I thought we were still in the Caribbean! It’s the first time I can recall being greeted by Customs and Immigration eager to stamp our passports, basically ignoring our Inbound General Declaration forms, and handing us Presidente cerveza (beer) all at the same time. More tomorrow about where we are staying. It’s late! Hello there…First of all I just want to say that I am a big fan of your blog and yeah of course of your post too. Well coming to this post, I am totally agree what you have mention in your post. Thank you so much for this post. By Skyhawk to Florida – Day 4 – On the way to Sun’n Fun!